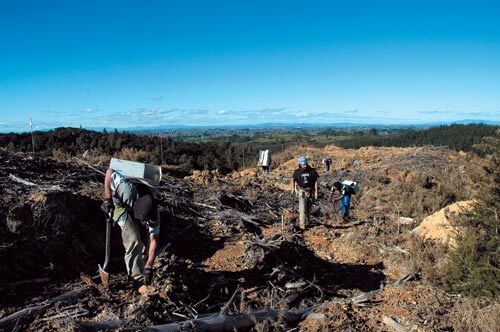 Young radiata pine trees are being planted out on scrub-cleared hill country near Ngāruawāhia. The planters carry a box of young plants on their back, and at regular intervals they make a cut in the soil with their spade and plant one. Around 1,200 trees are planted per hectare.